The on-going legal battle between Nigerian singer, Runtown and his record label, Eric Many is far from over. According to the label, the new court Injunction was slammed on Runtown because he is owing the label N267 million and he has not also adhered in line to deliver his album appropriately and he has deliberately tried to register the name Runtown without the label's consent and abscond from contract. 'as you are aware, lately we have been in Court with Runtown over copyrights issues with regards to two collabo videos he made without our prior approval. Truly, the much-publicized legal action at the Federal High Court in Lagos was, contrary to what many believe, not on the entire contract we signed with Runtown. It was only on the unapproved collabo videos and we claimed general damages of about N65 Million for the copyright infringement'. 'we had thought that Runtown would see reason to retrace his steps on our Contract following the ‘warning case’ on copyright infringement. This was not to be as he took to the social media, especially Twitter, dishing out insults on our Chairman, Prince Okwudili Umenyiora, boasting that he was no longer with Ericmany. 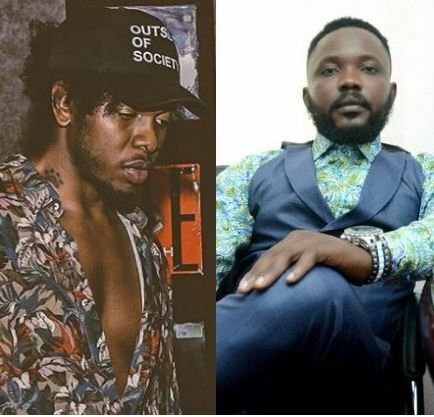 His elder brother joined on Instagram boasting that his company ‘JSparrowMedia’ is now the person booking Runtown’s shows and no longer Ericmany. Under our Contract, the professional name ‘Runtown’ and other names are licensed to Ericmany. Yet Runtown went to Trademarks Registry in Abuja and has been working to take the names from us'. These and many other issues thrown up by the copyrights suit confirmed to us that indeed Runtown had walked out on us. We therefore decided to sue him for comprehensive breach of contract, to the sum of N266,694,755'. While our Contract is supposed to fall due for expiration on 22nd June 2018, Ericmany now has an outstanding balance of about N266,694,755.08 to recoup on our investment and expenses on Runtown’s career. He is also yet to deliver an Album which the Contract requires him to deliver to us during the Contract period. The Contract spells out the procedure for the production of the Album. Runtown is yet to initiate the procedure, whilst he focuses on Abuja Trademarks Registry scheming on how to make us lose grip of his professional name'. 'Last Wednesday, 23rd May 2018, following the advice of our lawyers, we withdrew our case at the Federal High Court on the collabos to have more time and focus to pursue the case of breach of contract. Our lawyers had advised that since the breach of contract and recovery of our outstanding sum of N266,694,755.08 is a bigger picture, it would be more reasonable to drop the copyright case and focus our energy on the contract case. We accepted this advice and gave a go-ahead for the Lagos Case to be withdrawn' he said.